It’s been a long time since we last saw Peugeot or Citroen in the US. The French company (formally PSA Peugeot Citroen) left the U.S. in 1991, making it 23 years since either brand was entrenched in the American auto market, but all that could change soon. Automotive News Europe is reporting that PSA is seriously considering returning to the US market, but it’s not bringing Peugeot or Citroen back. 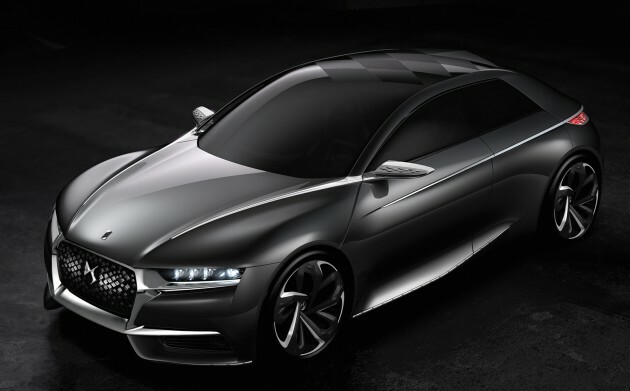 Instead, it is planning to turn its DS brand , an offshoot of Citroen, into a global premium brand. For that to happen, the US market has to be a big part of it. DS CEO Yves Bonnefront told Automotive News Europe that the DS brand could be headed to the US early in the next decade as part of PSA’s global strategy for the premium brand. The plan, according to Bonnefront, would be to bring DS vehicles into 200 large cities all over the world after 2020. Of that number 10-percent, or 20 cities, would be in the US. PSA isn’t planning on doing it anytime soon because none of the five current DS models are compliant with U.S. crash and emissions regulations. Instead, the company will spend the next couple of years determining the feasibility of re-entering the US market before making a decision on its plans. Don’t expect that to happen at least until 2017. For now, the DS brand will continue to reap the success it has earned since being launched as a Citroen sub-brand in 2010. It already has a strong following in Europe and China , and further establishing itself in those markets should be the company’s immediate concern. Still, keep a close eye on the horizon for any developments about returning to the U.S. market. The French may soon be invading a showroom near you. PSA made a big decision by turning the DS into its own brand. The badge had great success as a Citroen sub-brand, and PSA decided to use that momentum to branch out into new markets. PSA has huge plans for the DS brand to become a stand-alone premium automaker that will be sold globally by 2020. The U.S. Market is one of the largest int eh world, and PSA is ready to re-enter our market with their new brand by the start of the next decade. The good news is that PSA isn’t rushing into this obviously huge decision. It’s being smart and prudent about making that return leap across the pond. PSA wants to build the brand slowly and it already has huge markets like Europe and China to do that. Once the DS is firmly entrenched in those markets, that should give the brand enough money and confidence to enter the North American market. Citroen introduced the Divine DS Concept at the 2014 Paris Motor Show with one objective in mind: to showcase what the future holds for the new DS brand. If the Divine DS Concept is a sign of things to come for the DS brand, then it shouldn’t have a hard time standing on its own two feet soon. It has a sportback design that’s heavily accentuated in dark colors, evoking a mysterious look that should translate well on the DS’ current model lineup, specifically the DS3 subcompact. The concept’s interior is admittedly a little to futuristic to make it into a prodcution model, but it provides us with an idea of future cabin design trends. Under its hood, the Divine DS Concept is powered by a 1.6-liter turbo four engine that develops 270 horsepower and 243 pound-feet of torque. No performance numbers have been released, but as a concept it’s unlikely that Citroen will release them. Still, I wouldn’t be surprised if the Divine DS Concept has the juice to sprint from 0 to 60 mph in just over five seconds. Expect a top speed of 155 mph.